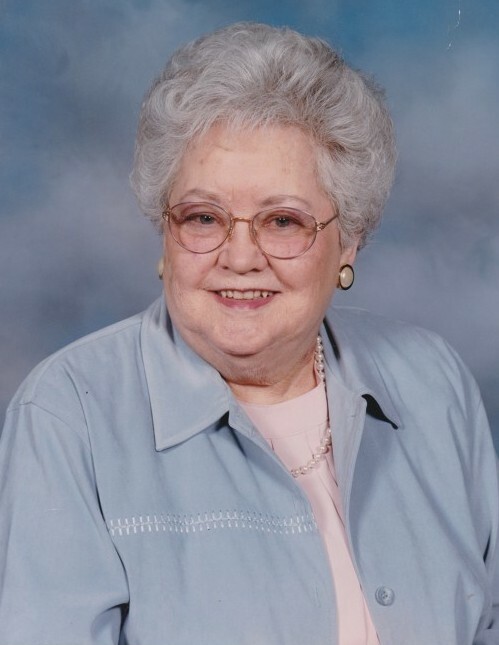 Patricia June (Palmer) Steere was born June 12, 1922 in Mt. Pleasant, MI, and passed from this life on April 1, 2019. She left behind three children and their spouses, six grandchildren and eleven great-grandchildren. She is survived by her son, Bill, and his wife, Beth, and Bill’s two children: Andrew and Mardi (Johns) and their children, Riley and Liam; and, Hanna, (Andrew) Brennan and their children, Will and Quinn. She is also survived by her daughter, Diane (Lonnie) Shields, and their two children: David and Melissa (Perkins) Shields, and Elizabeth (Mike) McKay and their three children, Maddy, Lainee and Jack. She is also survived by her son John and his wife Sherry (Chambers) and their two children: Lauren Nicole and her two children, Kaitlyn and Cameron; and Justin and Patti (VanderLind) Steere and their two children, Norah and Jonah. At the end of WW2, Pat fell in love with and married the late M.R. (Bob) Steere, who had just been released from service in the Army Air Corps as a test pilot. They traveled to Texas where Bob completed his college degree before returning to Michigan. They moved to New York for a few years as the family grew, and then returned to Grand Rapids. Bob started his own business, Homewide Services, but their growing interest in spiritual things led to their involvement in the Michigan Camps Farthest Out, which met at Alma College each summer. Soon their growing spiritual involvement led them to sell their home and rent a duplex, taking the proceeds from the sale of their home to buy the property at 2800 Michigan St., NE, rebuilding and expanding a burnt-out farm house on the property in the middle of an abandoned apple orchard. There they led Prayer Meetings and Bible Studies and eventually Sunday services. Their ministry was called Faith Teaching Mission. They were invited onto the Council Ring of the Michigan CFO, and Bob was elected President of the local Full Gospel Businessmen’s Fellowship, Int’l. Pat’s gracious gift of hospitality was put to good use as they hosted speakers from around the world. They were pioneers of the “Charismatic Movement” in the Grand Rapids area. In the early 80’s they retired, sold their home in Grand Rapids, and opened a Bed and Breakfast in Pentwater, where they started Faith Training Ministries. Bob was diagnosed with leukemia and they sold their home in Pentwater and moved back to Grand Rapids, where Bob passed away in 1991. She lived in an apartment for a few years until her failing health necessitated her move into the Holland Homes - first at Breton Manor, then at Fulton Manor and finally at Raybrook. Pat’s hospitality, graciousness and love for people, along with her deep spirituality made her a favorite of her caregivers everywhere she went. She was not hesitant to take an aide’s hands and pray for them. She was an example and great influence in the lives of many people! There will be a Memorial Service for Pat, Saturday, April 27, 2019 at 1:00 PM at the Chapel at Raybrook, 2121 Raybrook SE, Grand Rapids, MI 49546. A reception will follow the service. There's still time to send flowers to the Memorial Service at the Raybrook Chapel at 1:00 PM on April 27, 2019.